high. Today I’ll be outlining a simple method for layering red, white, and pink currants (all of which are variants of Ribes rubrum). Layering is a means of clonally propagating an existing plant by burying an ariel stem so to encourage rooting. 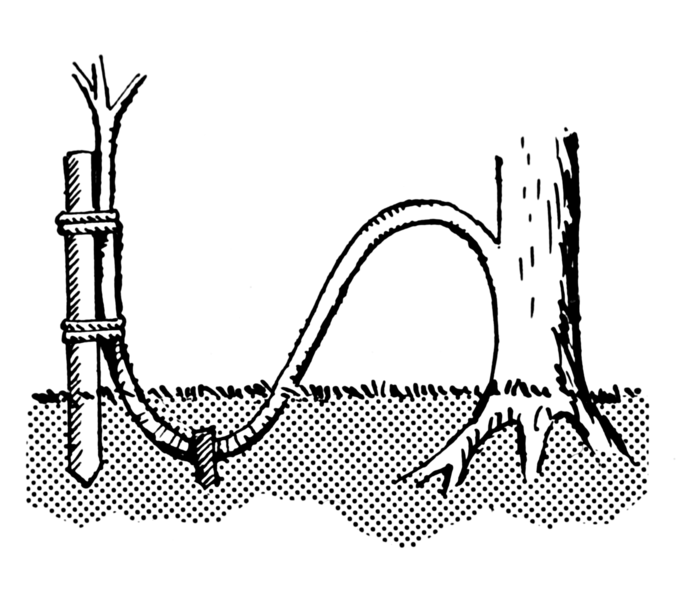 Once rooted, it is detached from the parent plant. 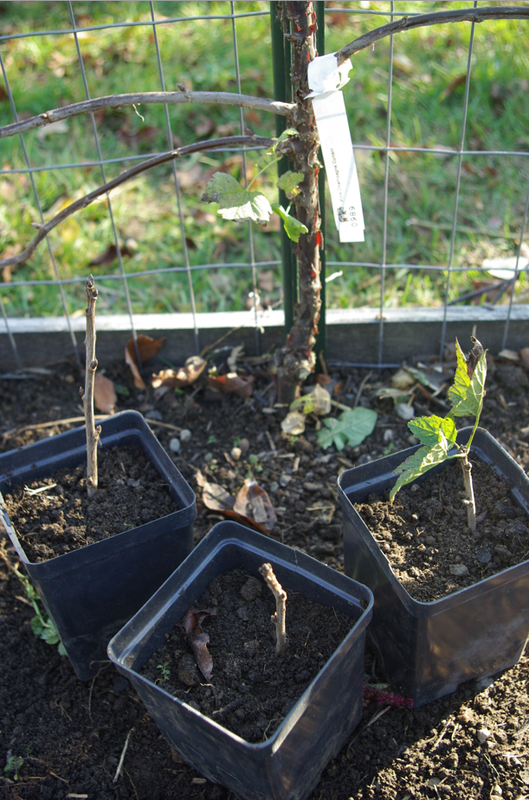 After being inspired by Lee Reich to form an espaliered currant, I began to train a ‘Pink Champagne’ currant along my garden fence. 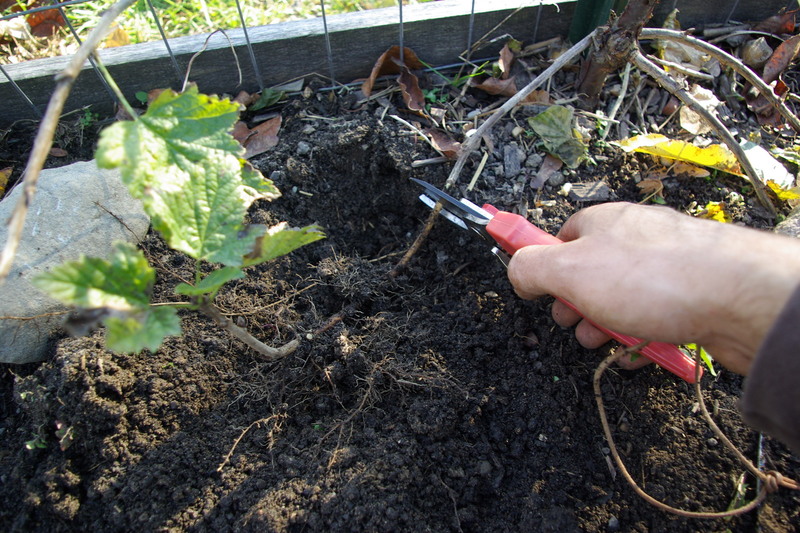 To maintain an espalier it was necessary to remove the multiple stems which habitually spring forth from the base of the plant. Instead of just pruning this wood out, I decided to try layering these shoots. The following images depict this process. 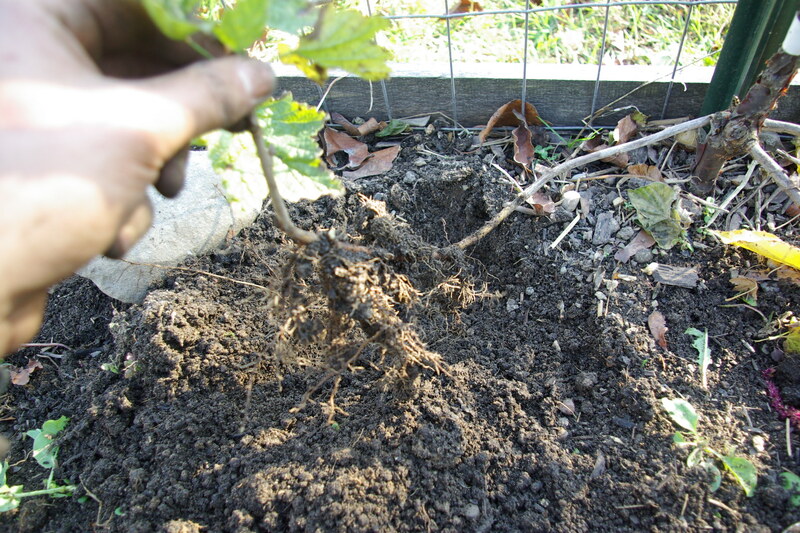 It was exciting prevail an abundance of fibrous roots protruding from the previously buried stem! 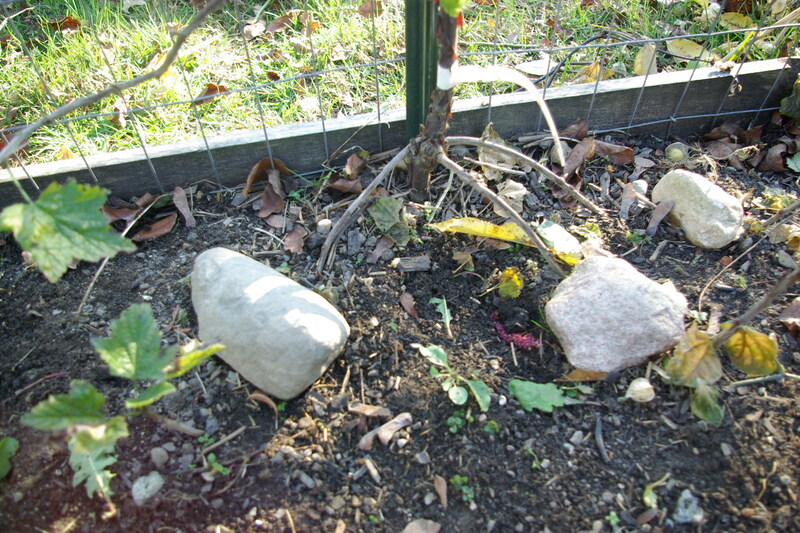 The next step is to detach the layered branch from the mother plant with pruners.